This article revisits George Mackenzie of Rosehaugh’s Religio Stoici (1663) which is often acclaimed as the first in a venerable series of imitations of Sir Thomas Browne’s Religio Medici (1642) as well as a possible influence for John Dryden’s Religio Laici (1682). By contrast, this articles returns to the charged contemporary atmosphere that prevailed in Scotland in 1663, following the controversial re-establishment of Episcopalianism the previous year. Combining an instinctive epistemological scepticism with an audacious and polemical anticlericalism, Mackenzie’s tract attacked dogmatic intolerance and denominational exclusivity and instead advanced a courageous, solitary and very public plea for peaceful religious practice. Reviewed by Nancy Kendrick, Wheaton College (MA) for Notre Dame Philosophical Reviews (http://ndpr.nd.edu/recent-reviews/). This first complete modern edition of Mary Astell’s “most profound and significant scholarly achievement” (p. 20) is a much needed and welcome addition to Astell studies, and more generally, to the study of early modern philosophy. 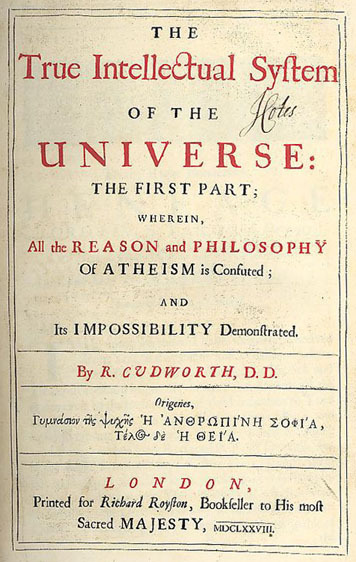 Jacqueline Broad’s text follows Astell’s revised second edition of The Christian Religion, as Professed by a Daughter of the Church of England, published in 1717. The first edition had appeared in 1705. See here for complete review.